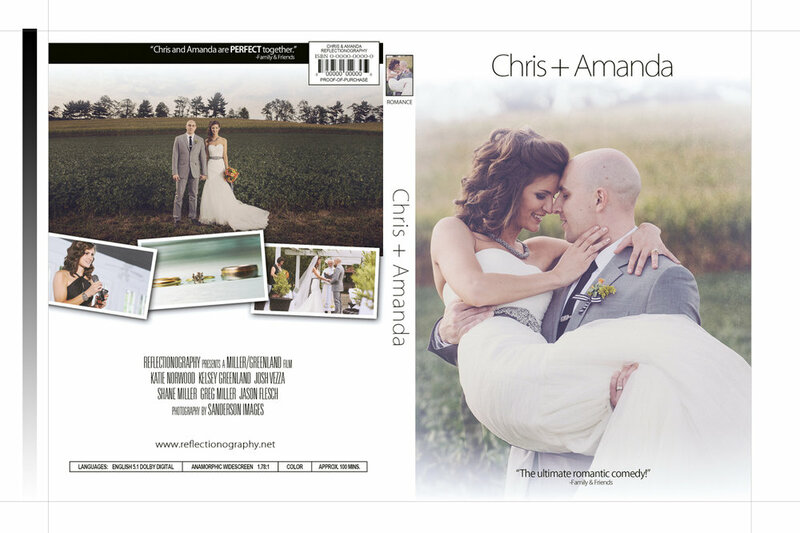 DVD Cover Photography by Sanderson Images. There are many things that contribute to helping us deliver the best film possible. I'm going to list 5 for you. These are things we've learned from our experiences and now share with all our clients. 1: Have a clear schedule for your day - on paper. Ok, it could be on your favorite mobile device too. The point is the better you work with us, and with your photographer, to schedule your day, the better the photos and video are likely to be. Having a clear schedule going into your day is a definite necessity. In the madness of you and all your best friends and family getting ready, it’s easy to lose track of time and not leave enough quality time for your formal photos and those killer video shots of you looking gorgeous in your wedding attire. Feeling stressed or needing to rush to make it to the ceremony is never a good thing. 2: Be intentional about choosing your prep location. If there's one thing we've learned it's that it is so much easier when the room you're getting dressed in is big enough for everyone getting ready with you to have plenty of elbow room. Making sure there isn't laundry and other things laying around is a huge step in making the environment you're in look great! The second part of this is that we encourage you to have your makeup done near a window. We're huge fans of natural light, because it makes your skin look so much better than the fluorescent lighting found in most hotels and other rooms. Instead of an orange glow, your skin looks fair and beautiful, the way your makeup artist designed it to. We always talk to our clients about their preferences with this. If there is enough natural light available, we may even turn off the in-room lighting. Bonus point: We've found that bar stools make the perfect seat for getting your hair/makeup done! They give you naturally great posture for photos and video. At Cinema Four40 we are definitely fans of using good audio of you and your loved ones talking and interacting with each other. Often the moment when the bride is putting on her dress is one of the best of the day. The bridesmaids are all telling her she’s gorgeous. The bride’s mom and sister are busy helping her get into the dress. If the radio in the corner is blasting the latest hits, it’s pretty hard for us to salvage that natural audio for your wedding film. If music is important to you, we definitely do not want to ruin the moment. We will not make you turn the music off. We do suggest it be something you think about going into your day. It's for you to decide. Not us. 4: Give some toast ideas to your friends. One really great way we’ve found to ensure there’s lots of great audio for your film is for you to suggest certain things that your Best Man and Maid of Honor can incorporate into their speeches. This helps us capture components of your story that connect people to you in your film. They can incorporate things like telling about the first time they saw the two of you together and how he asked you out. The story of your proposal etc… These are all fantastic facets of your story that are great to share with the guests at your wedding anyway since many of them don’t know all the details like your best friends do. When we’re at a wedding I’m always listening to what’s being said while we’re filming and making mental notes already of the good audio bits I know will help make a great film. Watch an example of what we mean below. Annika and Jason both did a great job of what I’m talking about here and it tells Ben & Kelsey’s story so well. 5: Your personal details matter! Larissa always dreamed of leaving her wedding on a hot air balloon. When we were planning our wedding we hired a company to come to our venue and fly us away at the end of the day. It’s still the only wedding we’ve ever been too that had this. This is obviously only one of many ways to have your wedding stand out but the point is....often times the films we get the most comments and raves about are when the couple has lots of personal details that tell about who they are. Pinterest serves a lot of great purposes but sometimes it’s great to do things out of the box and totally original. Things that tell everyone about both of your personalities. What are the details or pieces of your life that can be told at your wedding? Every couple's day is different. There is no universal template. There are many things that can be done to make your wedding day personal to you. These are just a few of the many we see in our experiences. We look forward to working with you on the biggest day of your life!